The Browns are in no hurry to make this trade. And it is likely nothing will happen until draft night or later. I wouldn't bank on Hilliard being the only or second running back when they trade Duke. 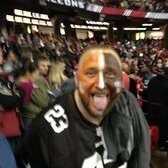 Dorsey will likely add depth in the draft. I hope not. We don't need a draft pick. We need an UDFA (Qadree Ollison/Darrin Hall). I'd be kind of annoyed if we spent a draft pick on a future 3rd string RB. I honestly hope the market for Duke is terrible and we just keep him. 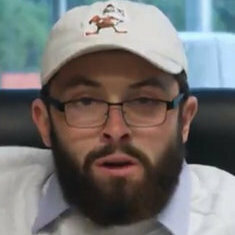 He's my favorite Brown...or was, before we got Baker. By "add depth in the draft" I simply meant they would bring someone in during the draft process. This includes those that go undrafted. Keep in mind that we have 8 draft picks. We honestly have a need for like 3-4 players. If we don't package any to move up, we can afford to burn a pick on a RB that contributes on special teams as well. We need 3-4 linebackers, never mind upgrades and depth for other positions. At least two picks on DBs, maybe a TE, an OL, quality depth on the DL. We also need to stagger the rookie contracts so cheaper players can take over positions to keep the spending down for when we pay Garrett, Baker, Ward etc. Think you need to redefine "imminent"
I think we could definitely add a QB, RB, TE, OL, DL, LB, CB, S. Quite easily actually. Edited April 10 by DaWg_LB. I blame this on John Dorsey opening his stupid mouth with the "he's not disposable....yet..."
We aren't gonna get squat for him. We have Nick Chubb and Kareem Hunt. We weren't gonna get anything for Duke even if Dorsey declared him the bestest indispensable player of all time.